It's day 3 at the national Bed and Breakfast conference in Austin TX and we are having a great time. The members of the Texas B and B Association have said a BIG Texas "Howdy" - welcoming innkeepers from the US and Canada. We enjoyed some great BBQ last night under the big, bright Texas sky - Thanks to Eric Goldreyer and all the folks at BedandBreakfast.com! Dee will be doing a presentation on Thursday about hosting horses at a Bed and Breakfast. 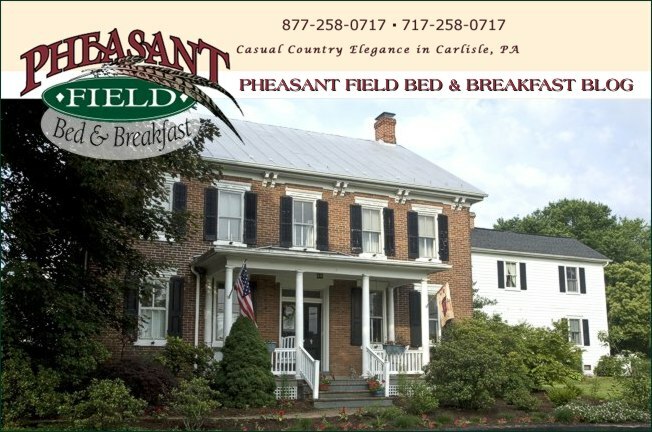 As many of our previous guests know, that is a very special service provided at Pheasant Field Bed and Breakfast and we meet some beautiful animals and fun and interesting guests because of it. We are looking forward to another day full of education and fun! THANKS to all the wonderful people at home who are keeping things running smoothly "back at the ranch". By the way, if you ever find yourself in Austin, have some Texas BBQ at County Line BBQ - a place where the "locals" eat!